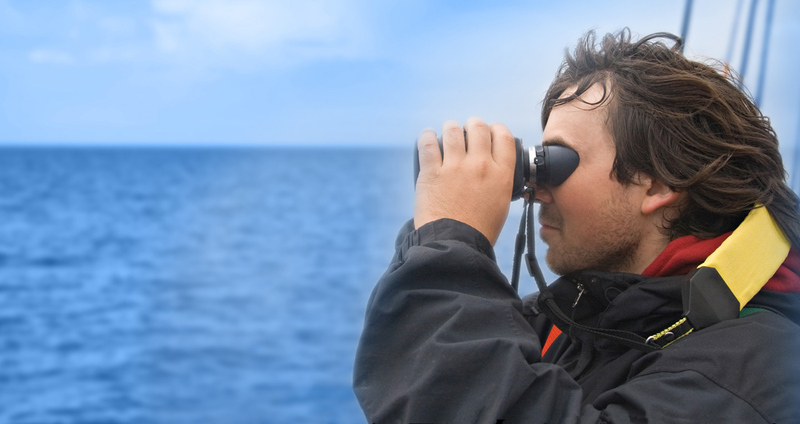 What is a Protected Species Observer? Protected Species Observers (PSOs) are certified professionals trained in protected species monitoring and mitigation procedures. Awareness of noise levels in the oceans and the potential impact to marine life has increased in recent years. To help address this environmental issue, protected species observers (PSOs) may be placed on vessels or platforms to monitor for marine species and implement mitigation measures during geophysical and geological exploration operations. Unlock your potential and open doors with a PSO certification! 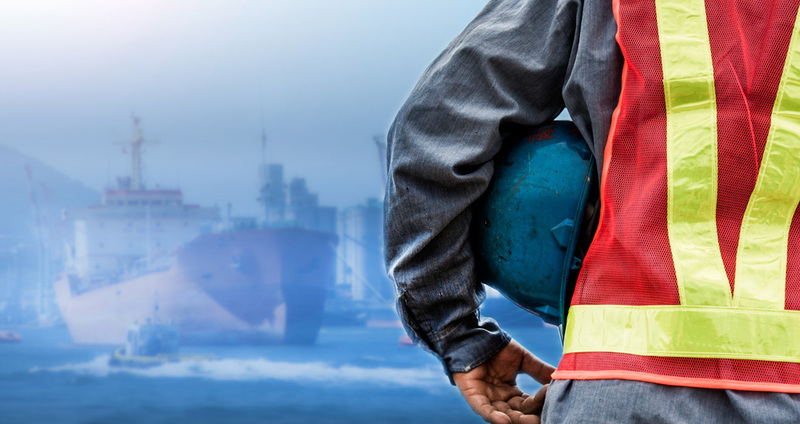 Upon the successful completion of this PSO course, you will receive a certificate which certifies you to work as a PSO in the United States Gulf of Mexico and ensures that you are ready and able to perform all the necessary duties of this important position. Given the educational nature of the course material, students are encouraged to talk to their professors about receiving independent study academic credit for completing the training. 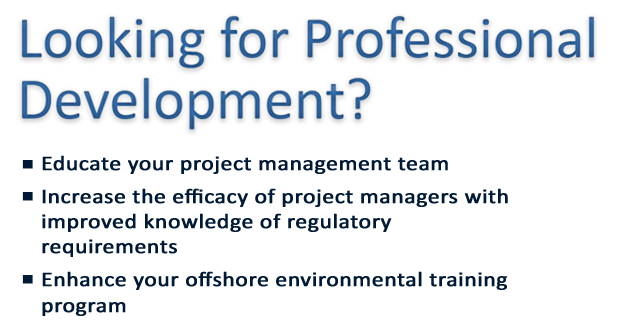 This PSO course was developed by former experienced PSOs and biologists with many years of real field experience on varying types of offshore geophysical programs. 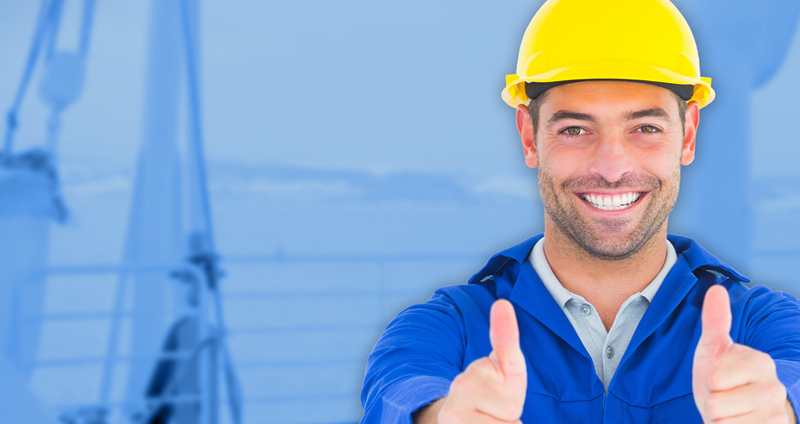 Our instructors are accepted PSO Trainers by the Bureau of Safety and Environmental Enforcement (BSEE). 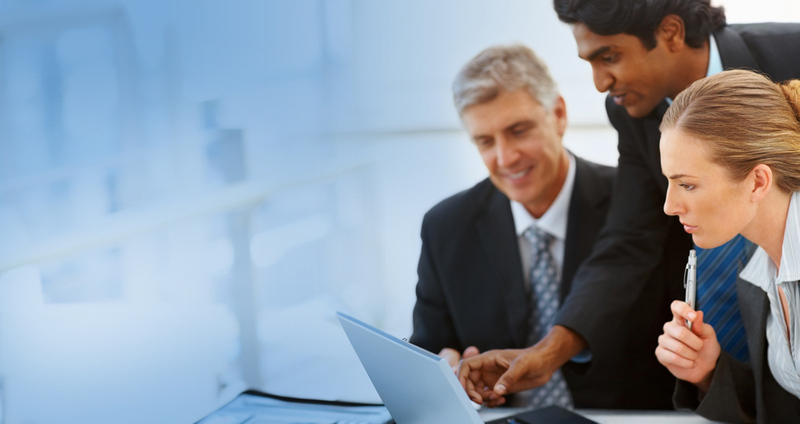 They are bringing their years of knowledge and experience to you in this specialized course. Work on the course anytime and anywhere, progressing at a speed comfortable for you! Your progress is saved so you can resume the course where you last left off each time you sign in. The course is filled with interactive games and quizzes to keep your interest high, and help you retain the material. Engaging and fun content combined with self-paced learning makes for a positive learning experience, and an effective training course that produces proficient PSOs! To further ensure convenience, you can complete your coursework on any device. Save your progress when you log out and continue later on the same device or a different device. Why travel to far away places when you can get certified from the comfort of your own home? This online course saves you time and money, and eliminates the hassle of other expensive and hard to schedule courses! Click below to register! This course has been cleverly designed to engage and educate a broad audience, so whether you know nothing about the PSO program, are already a marine biologist working offshore, or consider yourself an expert PSO, this course has something to offer you. What are you waiting for? RPS has been at the forefront of providing Protected Species Observing (PSO) services in the Gulf of Mexico since 2003. Our in-house training and certification program has been the foundation of our success. 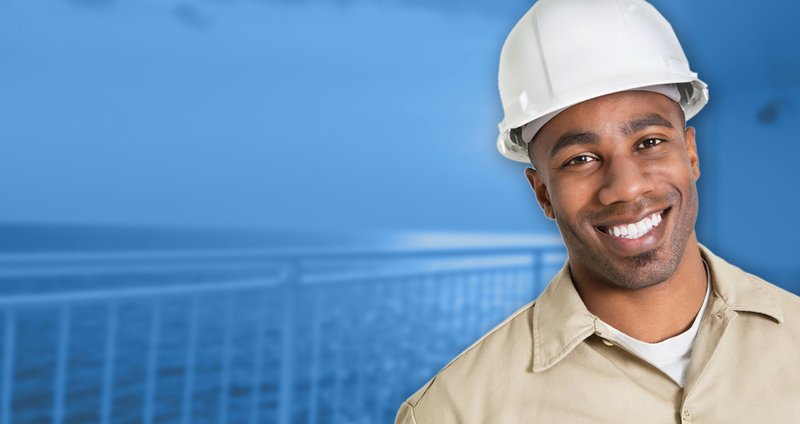 We are pleased to present the first BSEE-approved online PSO course for the Gulf of Mexico. The course is set at a moderate cost of $395 and successful completion of the course will result in a PSO certificate that does not expire. This training program pulls together the expertise, advice, and lessons learned of our instructors, biologists, and other professionals who have overcome some of the complex hurdles that have shaped the PSO program into what it is today. 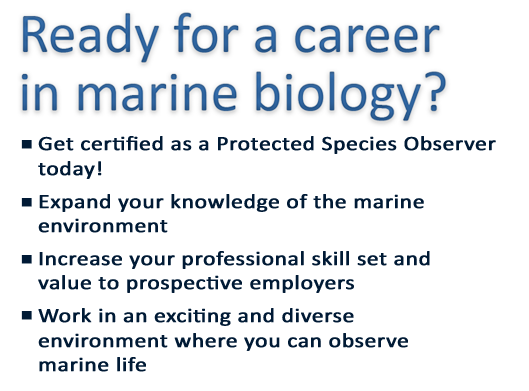 Ready for a career in Marine Biology? Get certified as a Protected Species Observer today! 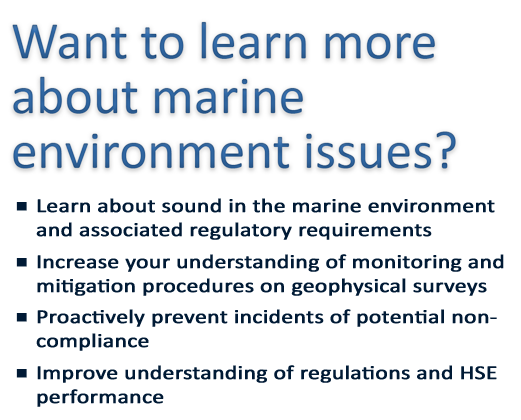 Want to learn about marine environmental issues? 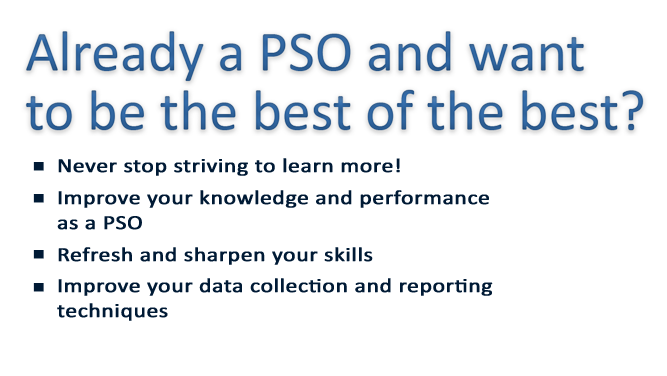 Already a PSO and want to be the best of the best? Never stop striving to learn more! Are you ready to become a certified Protected Species Observer? Then get started right here! 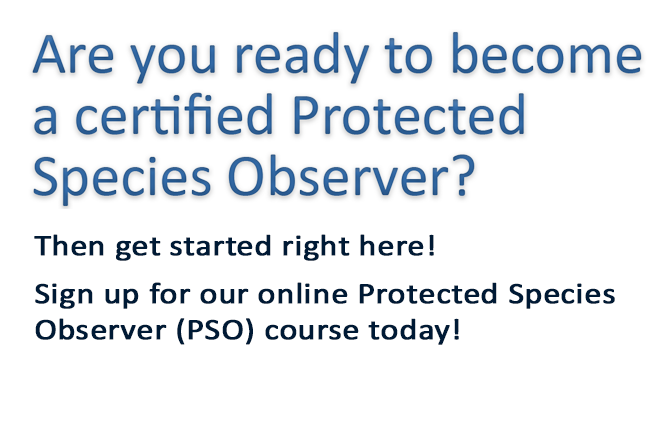 Sign up for our online Protected Species Observer (PSO) course today!